“Through the connectivity of the internet, people are becoming so desensitized to all the tragedies and travesties [in the world], that we need to take audiences to a lighter place,” Grammy Award-winning Pharrell Williams told Collider.com in a recent interview. “There’s a need to lift people up emotionally,” said Williams whose chart-topping song ‘Happy’ is featured in the animated comedy movie Despicable Me 2 and has been nominated for an Oscar. Williams will perform the song at this year’s 86th Academy Awards on Sunday 2 March 2014. By advocating a greater focus on ‘happy’ songs, Pharrell Williams is actually going against the tide of the last five decades. In 2012, an academic study revealed that pop music has grown progressively more sad-sounding and emotionally ambiguous since the 1960s. The number of minor chord hits has doubled since 1965, the study found, and fewer hit songs are now being written in major chords. Music psychologist Professor E Glenn Schellenberg and sociologist Professor Christian von Scheve analysed the tempo (beats per minute) and mode (major or minor) of more than 1,000 American Top 40 songs that charted between 1965 and 2012. 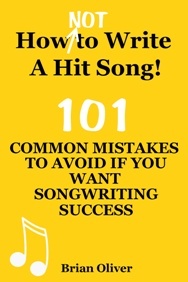 Their study found that in the second half of the 1960s, about 85% of songs that reached the top of the charts were written in a major mode, but by the second half of the 2000s that figure had fallen to only 43.5%. “Just as the lyrics of pop songs have become more self-referential and negative in recent decades, the music has also changed—it sounds sadder and emotionally more ambivalent,” Schellenberg and von Scheve stated in their study. The researchers noted that unambiguously happy songs like ABBA’s ‘Waterloo’ sound “naive and slightly juvenile” to today’s ears. And whilst more recent songs in a similar style, such as Aqua’s ‘Barbie Girl’, can still enjoy huge commercial success, they’re usually seen as a guilty pleasure and savaged by critics. Schellenberg and von Scheve suggested that emotional ambiguity in a song is a way for some acts to convey their seriousness and complexity.